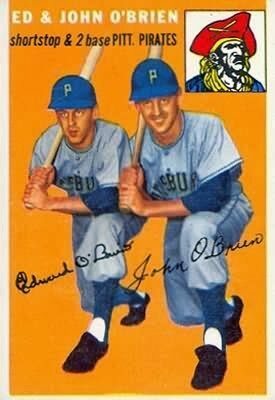 One half of one of the most amazing Topps cards of the 1950s is gone. 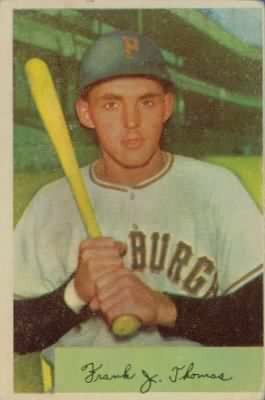 Eddie O’Brien amazed me in 2010 with a letter that told about that famed card with his brother, his brief stint as a Pirates pitcher and getting scouted by Bing Crosby. The always-amazing www.sportscollectors.net tallied 152 responses in 166 tries for Eddie O.
Eddie was famous, too, for taking the 1954 card (or the Archives) to his brother John for a second autograph. I don’t think most TTM collectors requested the effort. It was usually a surprise. Two autographs, one stamp, giving “double play” new meaning. Great friends to the hobby remain. Write them while you can. Call me a mind reader. Cheers to http://www.retrosheet.org/ for the details! 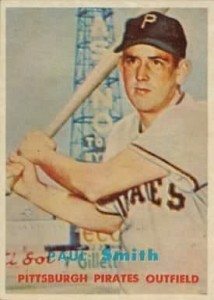 Smith played ball in Havana, before there was any Fidel Castro. What was it like? I read that Smith had suffered concussions as a player. A hitch in the armed forces may have complicated his career, too. “Concussions – hard hat (helmet) made it minor! Headaches for a couple of days. Pittsburgh-born Frank Thomas, an underrated slugger from 1951-66, is quick to say that he’s been out of the game 46 years. He still gets 4-5 letters a day from autograph seekers. He asks for a $5 donation per autograph, giving all proceeds to four charities. Through his own humorously-named personal website, Thomas outlines his signing policy and his goodwill endeavors. While attending a baseball-sponsored charity golf tournament in North Carolina, Thomas was forever changed. This led to his sponsorship of Courageous Kidz and Camp Happy Days. “We were asked if any of us would go visit kids in the hospital battling cancer. Rick Dempsey and I said we’d be happy to. We met a 17-year-old boy. He had just gotten back from Disney World. We asked him what he liked there. He said ‘GIRLS!’ He’s facing death, but he still can’t stop thinking about girls! He asked us to go see a little girl a few doors down. She was cutting out paper dolls. I asked if she’d like showing her Mommy all she had done. The father of four boys and four girls, Thomas is the father of a Father. One son has been a Priest for 14 years. Thomas is a man of service. He remains active in the Catholic service organization Knights of Columbus, sharing some of the autograph donation proceeds with them. His fourth cause is Meals on Wheels. Yes, Pittsburgh-area seniors get a meal each day delivered by a former All-Star. Thomas is a driver who’s been involved with Meals on Wheels for 30 years. “Sometimes, the Meals on Wheels driver is the only person a senior sees all day,” Thomas noted. Just as Thomas invests in these charities, he puts the same dedication into each collector donor. “I know how much an autograph means to someone,” Thomas said. The former Pirate has been including an extra autographed card whenever someone makes a donation. Additionally, he reads each letter himself, answering with additional notes when possible. Yes, the two same-named sluggers have met. Thomas feels a special kinship with collectors. When a house fire destroyed his extensive baseball card collection, a story in Sports Collectors Digest inspired hobbyists to help Thomas rebuild his sets. 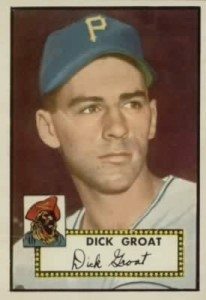 “I have replaced everything, down to 10 high-numbers from the 1952 Topps set,” he said. 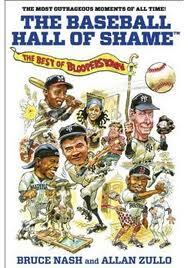 Thomas said he expected to finish his 2011 Topps Heritage set this week. Despite loving the sets, and the idea of connecting the past with the present, Thomas still has worries for Topps. Cards. Autographs. Steroids. Thomas isn’t shy about sharing his opinions. Only once, Thomas said, has a letter-writer criticized his signing methods. “The letter said I was just like current players,” Thomas fumed. A fiery reply explaining the charities noted that “if $5 will break you” that Thomas would make the donation for him. Coming Monday: A follow-up on the TTM autograph that took “only” 15 years.